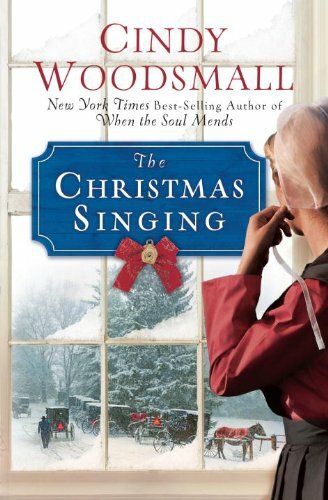 I posted a review of Cindy Woodsmall's latest book, "The Christmas Singing" earlier this book. If you are still looking for a wonderful gift for an Amish fiction reader, then I would highly recommend this book! AND to help you save money order the book from WaterBrookMultnomah.com and save 30% plus free shipping by using the coupon code: CHRISTMAS11, but this coupon expires on December 20th so don't wait too long! Colleen Coble, Kristin Billerbeck, Denise Hunter, and Diann Hunt, four wonderful authors, have joined together to write a great collection of stories in "Smitten." Each of the four authors write a novella and each novella is about a different woman, yet they are all connected! Smitten, Vermont is a town that is kept afloat by the lumber mill that hires so many people living in the town. Julia, Natalie, Shelby and Reese, four friends, devise a plan to "save" their town when the lumber mill is closing. They do not want their town to "close" or die along with the lumber mill. The four friends decide that their town, Smitten, is the perfect romantic getaway spot and begin to work on this idea and saving the town. Not everyone is thrilled with the idea, including the men in the town and yet some of the men join them on the project as well. Not only are these women promoting the town as a romantic spot for tourists, but they find that it may be a romantic spot for them as well. I really enjoyed this book - all four stories! Each author writes from a different woman's perspective and shares her story, yet they are all joined together to create a great story! There is humor interspersed and the misunderstandings and love make for a great read! A great light-hearted read! I am a huge fan of anything Christmas and I love Amish stories as well, so I was so excited to be able to read Cindy Woodsmall's new book, "The Christmas Singing." This is a quick read and a beautiful hardcover edition! I love the scene on the front of the book - so perfect for this time of year! Mattie had her heart broken years earlier on Christmas Eve and now she must face this rejection and decide how to handle this hurt. Gideon wanted to protect Mattie, but ended up hurting her anyways and now he knows that the truth is the best and only way to handle things. During the three years since their broken engagement Mattie has moved on physically to a new town and also emotionally as she has a new beau. Circumstances bring Mattie back home and back in contact with Gideon, has Mattie really moved on to far or is the love still there between the two? This is a well-written story that will enjoyed every year at Christmas time! Mattie and Gideon are both such lovable characters and I found myself rooting for them from the very beginning of the story. This is a great story as well for each of us on forgiveness, trust and telling the truth. A must read for Amish fiction fans! "The Names of God Bible" is a wonderful edition of the Bible for anyone who wants to study the Bible more in depth. This is a nice hardcover Bible edited by Ann Spangler who is the author of "Praying the Names of God." I have not ever had a Bible that is a God's Word translation, so it is a little different at first, but it is very easy to understand. There are so many different names of God and names that are used in reference to God. This Bible goes into great detail about the various names of God giving the reader a deeper understanding of God and who He is. 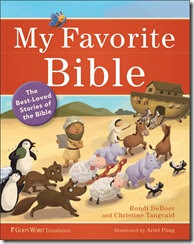 Each book of this Bible begins with a description of the book and also which names of God are found in that book. I found these introductions to be very interesting and a great perk to this Bible! There are also reading plans included at the end of the Bible which is a useful tool for those wanting to stick to a consistent reading schedule. I would recommend this for a new Christian or for anyone who wants to get to know God on a deeper level. This could be yours! Are you still trying to find a gift for a child? Or would like something to read with your child each night? Leave me a comment and this could be yours shipped directly to you from Revell Publishing Company! I will choose a winner on Monday, December 5th! I will notify the winner and get a mailing address which will be given to Revell and the Bible will be sent to the winner! Good luck!